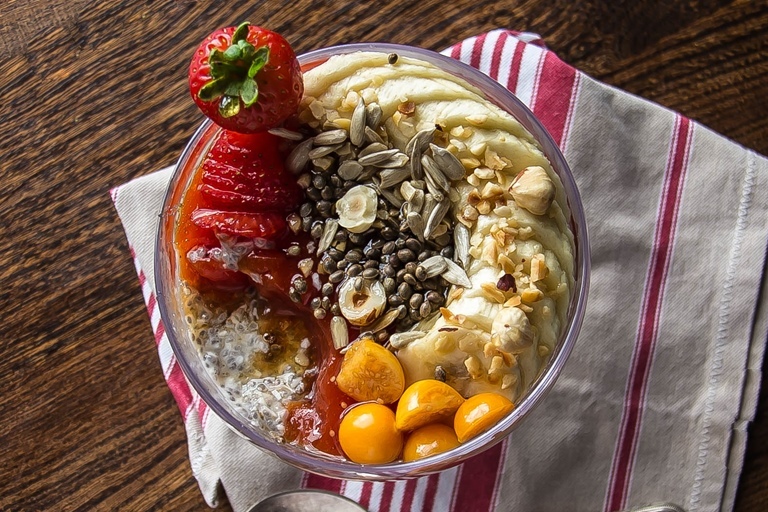 Rosana's easy chia breakfast pudding recipe is the perfect make-ahead breakfast. 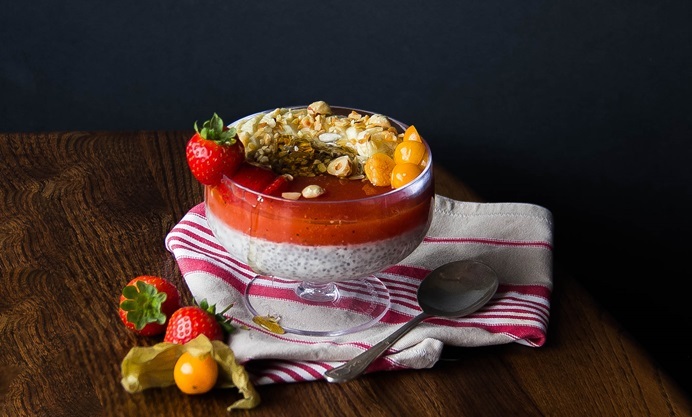 The seeds are soaked in coconut milk overnight to set the pudding, then the breakfast bowl is topped with a vibrant papaya purée and a plethora of fresh fruits and nuts. Top the dish with fresh fruits, sunflower and hemp seeds, hazelnuts and honey. Happy Breakfast!